If you’re yet to book your Christmas jamboree, fear not. Here's an array of outstanding bars and restaurants well-suited to festive occasions. Someone in the office is sneaking Christmas tunes onto the work speakers, a company you work with has just sent three random carollers to the office, and the Christmas tree is giving you hayfever. These are all signs you’re running out of time to organise your Christmas party. 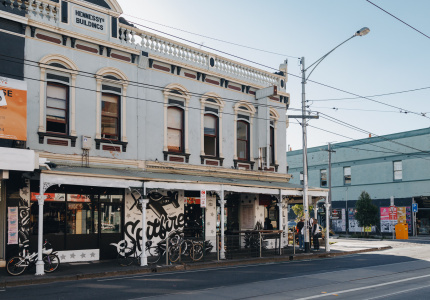 But fear not, here’s a few of Melbourne’s best venues where you can still book in for a Yuletide throwdown. It’s our most ambitious project yet. 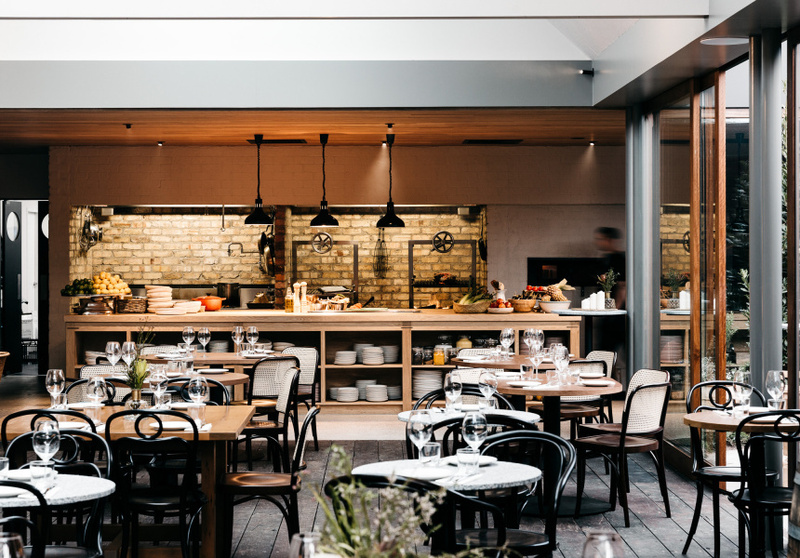 Scott Pickett has given over his renowned restaurant Saint Crispin to work with Broadsheet to champion the country’s most exciting young chefs. The first resident chef is Ryan Dolan, who just finished a stint at Ramblr on top of years cooking in top french kitchens. 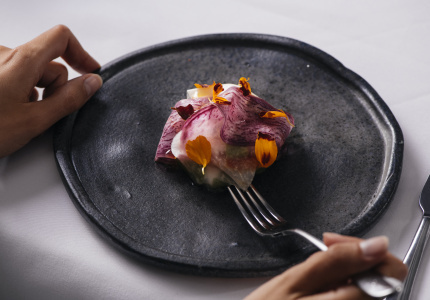 His restaurant concept Cabale is designed to introduce Melbourne diners to bistronomy, a movement that has been transforming France’s food scene. Cabale will run at the Broadsheet Kitchen until January 26. Book here. The newly opened Half Acre offers everything from an intimate 12-seater room in a former chimney, to a 250-person capacity event space. You can also exclusivly book the main dining room, informally named the Glass House, in reference to the big, light-diffusing roof overhead. 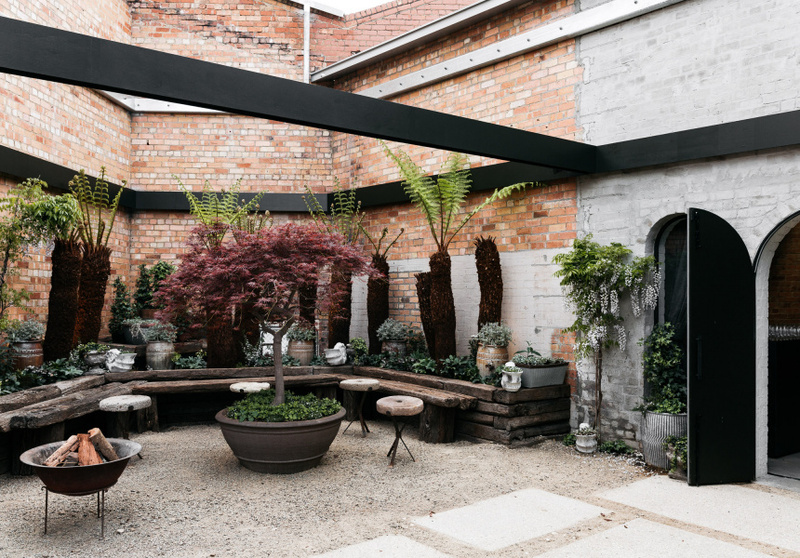 This last option, which includes the rustic courtyard, is available for groups of 30 to 60 from Monday to Wednesday. For dinner, sizzling meat, vegetables and pizzas are cooked at two blackened hearths. In the Cumulus Up main room you can share a banquet with up to 20 guests sitting together at one long table. But for something more intimate, there’s the Wine Room, with a faceted timber feature wall, bespoke Italian lighting and floor-to-ceiling glass doors. It’s available for dinner from Tuesday to Saturday. 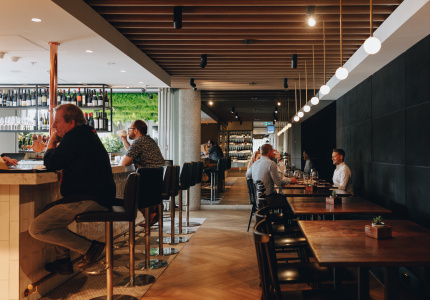 Group diners can choose from a house or premium banquet both of which feature oysters and duck waffles. 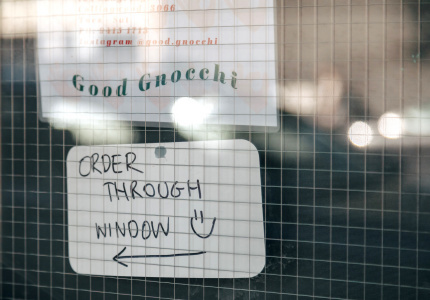 The new-world slices served at this colourful Preston pizza parlour were recently described by Attica chef Ben Shewry as “the best I’ve eaten” in a recent Instagram story – high praise indeed. Up to 60 guests can be accomodated and served a customised menu including American-style pizzas, corn dogs and other takes on Coney Island snacks. The bar closes at 1am on weekends so there’s plenty of time to party. From Monday to Thursday, you can take over the rooftop at QT Melbourne. The space fits up to 185 guests, or for smaller bookings of 12 to 50 people there’s the newly opened Secret Garden. Here, you can have an intimate dining experience prepared by executive chef Andy Harmer, surrounded by the very plants served to you on the night. 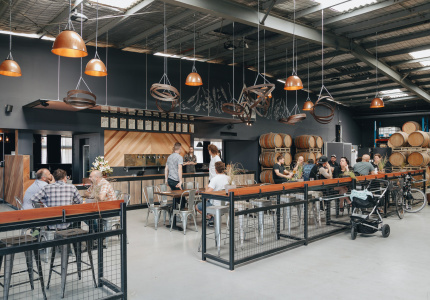 This laneway bar from shipping containers can cater for up to 200 standing guests. 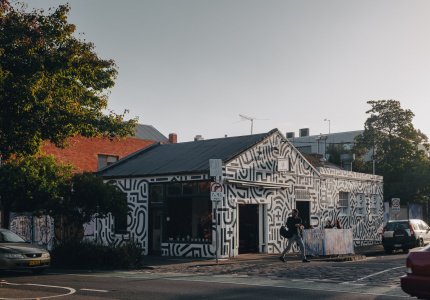 The bar is known for booking some of Melbourne’s best DJs and is open to live acts. 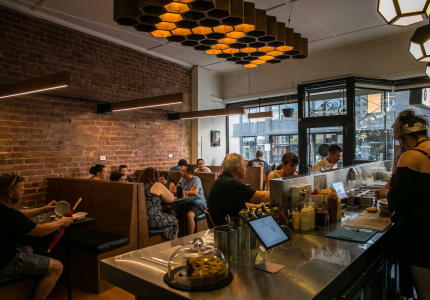 The team can arrange for a food trucks to cater the event and Northcote pizzeria, Primo is doing a residency until March. This rifle club turned tropical Southeast Asian restaurant can fit up to 280 people. There are hanging plants and palm-leaf wallpaper inside, with a large outdoor area and veranda shaded by palm trees. Day and night functions are available all week, with a classy drinks menu to accompany. 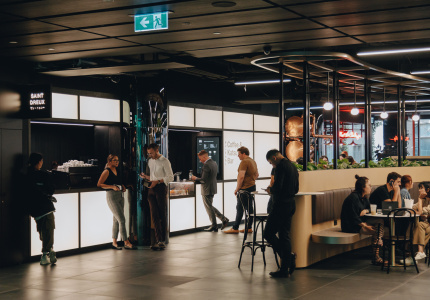 The Espy redevelopment is immense – 12 bars, three stages and two restaurants across six levels (formerly three) of a 140-year-old building. 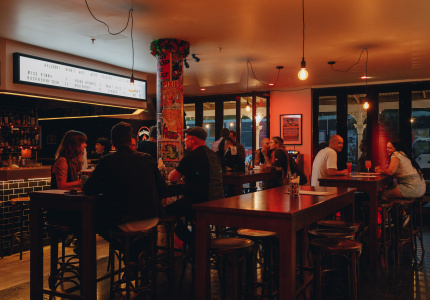 The ground-floor Espy Kitchen offers dining deals for groups up to 24 or else you can party it up at the balcony bar overlooking St Kilda beach. Melbournian’s favourite pop-up floating bar, Arbory Afloat, reopened in September with a new 19-metre extension, a fresh Mediterranean-inspired design and colour palette and fragrant citrus trees dotted about the deck. It also has a new raised “upper deck” that can hold anywhere from 30 to 116 people. The North Fitzroy restaurant and bar offers a private dining room for 12 guests or a cosy room with a fireplace for up to 40 guests, as well as the slightly grander Sunset Room. There’s also a wine list that would compete with some of the city’s finest dining establishments. The newly renovated Mount Erica has all the hallmarks of a classic pub ¬¬– timber-panelled walls, old school fireplace – with the welcoming atmosphere of a more modern bar. Canape options are available for groups. Classic pub meals with a twist done well. Expect to enjoy anything from lamb biryani done arancini-style, to cheeseburger spring rolls in the beer garden. The tap list features both classic and craft beers. The outdoor garden has an 80-person capacity. Andrew McConell’s Builders Arms Hotel combines elegant food options with a classic pub look. A private dining room comes with a usable record player, and a larger “bowery” room filled with natural light opens onto the courtyard. Both are available for functions. The rooms fit 18 and 60 seated guests respectively. Brunswick East smokehouse Bluebonnet Barbecue offers citywide catering for formal and casual events from its food truck Mabel. Or you can hire out the glorious new restaurant that has space for more than 100 people. Pitmaster and owner Chris Terlikar is one of the best in the business when it comes to low and slow-cooking. Sebastian is an ambitious seaside diner in a heritage-listed 1930s bathing pavilion, brought to life by one of the crew behind San Telmo. If you like Spanish drinks menus and grilled food in the sun, don’t think twice. 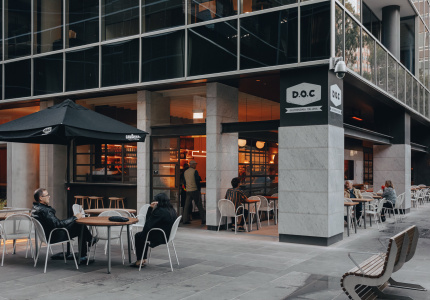 Harley and Rose is the expectation-defying, sort-of pizzeria from Josh Murphy and Rory Cowcher, two chefs who spent years at Three Two One, Cumulus Inc., the Builders Arms and Cutler and Co. But they’re not cooking that kind of chef-y, fashionable food. 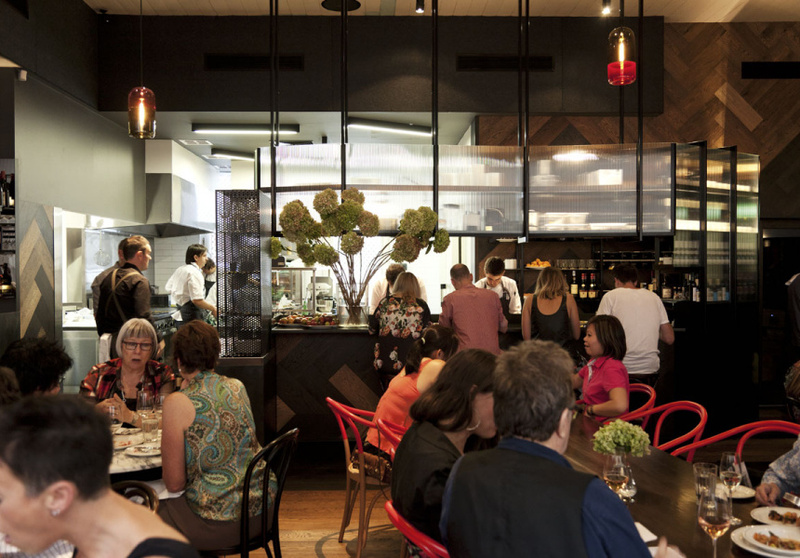 Here you have six pizzas; heaps of snacks and salads; and a banging wine list. Christmas groups are welcome. This sprawling Southeast Asian dining hall has a thumping soundsystem if you’re ready to party. Your guests will dine beneath strings of festoon lights and a row of vertical signs advertising mock hawker stalls. For large groups, the banquet menu offers barramundi fillets, roast pork belly, soft-shell crab and more. Additional reporting by Hamish Gibson.